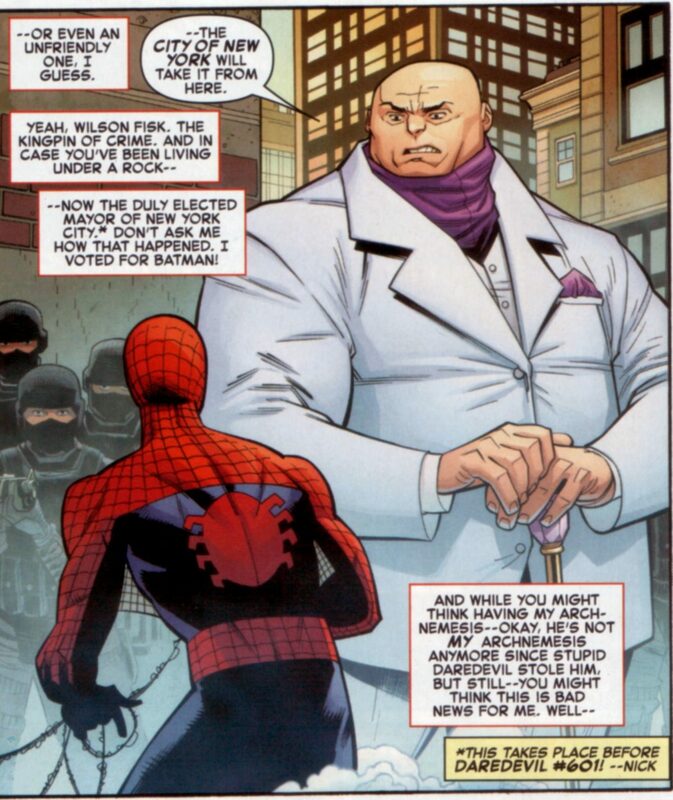 The Free Comic Book Day issue of the relaunched Amazing Spider-Man by Nick Spencer and Ryan Ottley blew people’s minds because of the way the book was written. Thanks to a scan by notorious scanner “Scanbro”, we have the entire issue online. Now I don’t want to spoil what happens in the book but I do want to share a nice panel. I noticed that as time goes by Marvel and DC referencing each other’s characters has gotten more blatant. These days, Spider-Man can freely mention Batman. Or he and Deadpool can make fun of Zack Snyder and the DCEU. On a more serious note, Captain Marvel and her search for the reality gem has shown us a glimpse of a different Captain Marvel.